Walk down McFarlane Road towards the bay. This is a Home and Garden Art Show located at 2980 Macfarlane Road . 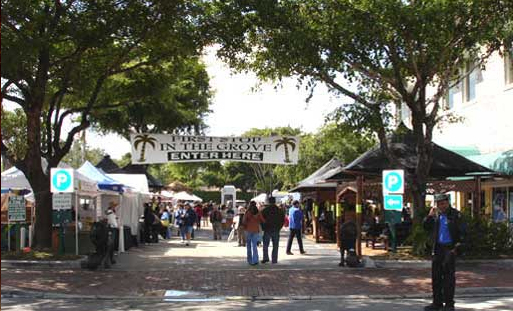 Walk down Mcfarlane Road and immediately after the building on the corner you will see a big BANNER “First Stop in the Grove” with gazebos and tents of artists in the parking lot on the right. COME SEE ME at “FIRST STOP IN THE GROVE”. There is NO ENTRANCE FEE. 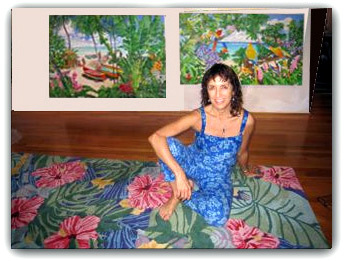 I will have my original watercolors, prints framed and unframed, oil paintings, wool rugs and more. This Show is before the St. Stephens Art show and the Coconut Grove Art Show.